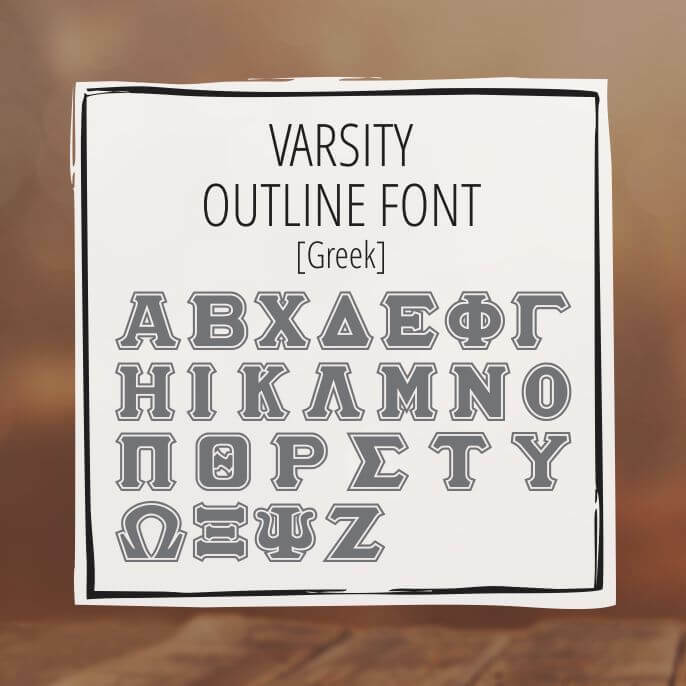 This is the Greek Varsity font set which combines both solid and outline Greek varsity fonts. 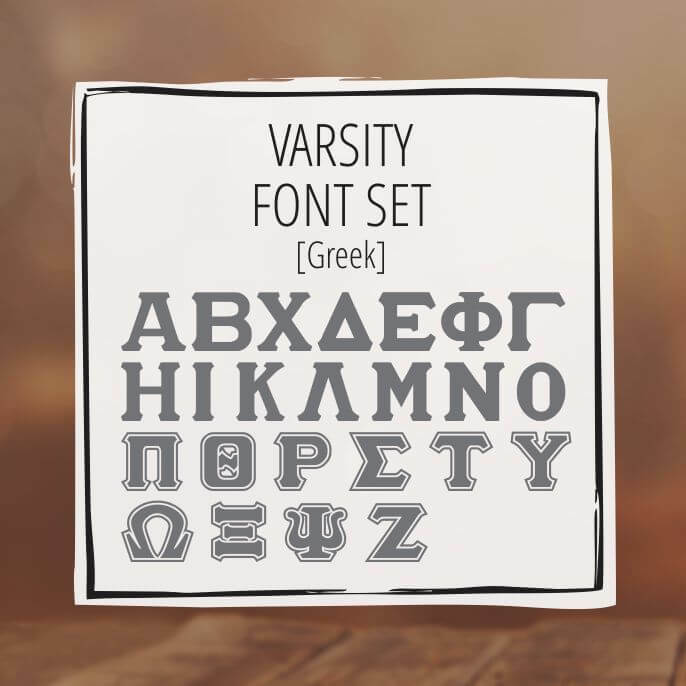 These fonts are True Type fonts which can be used in vector programs like Illustrator or Corel Draw or raster programs like Photoshop. 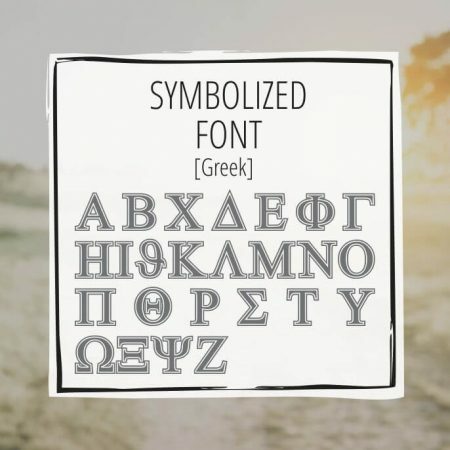 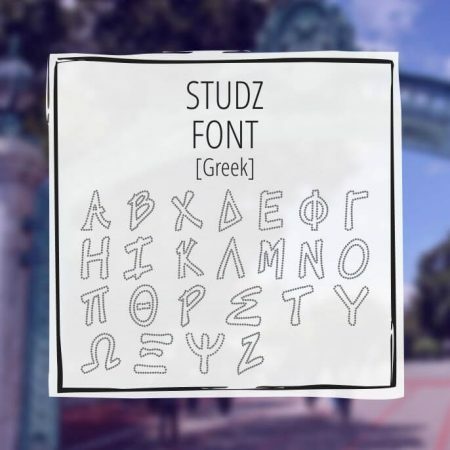 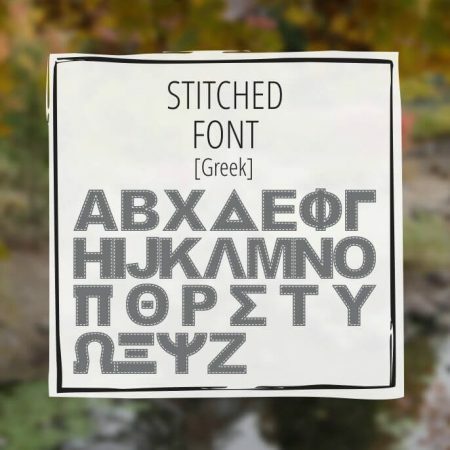 The Greek varsity font set are available in single fonts in solid and outline.